When you want to spend quality time outside in the city, it is very important that the destination you chose doesn’t take away all your outing joy after you arrive to it. 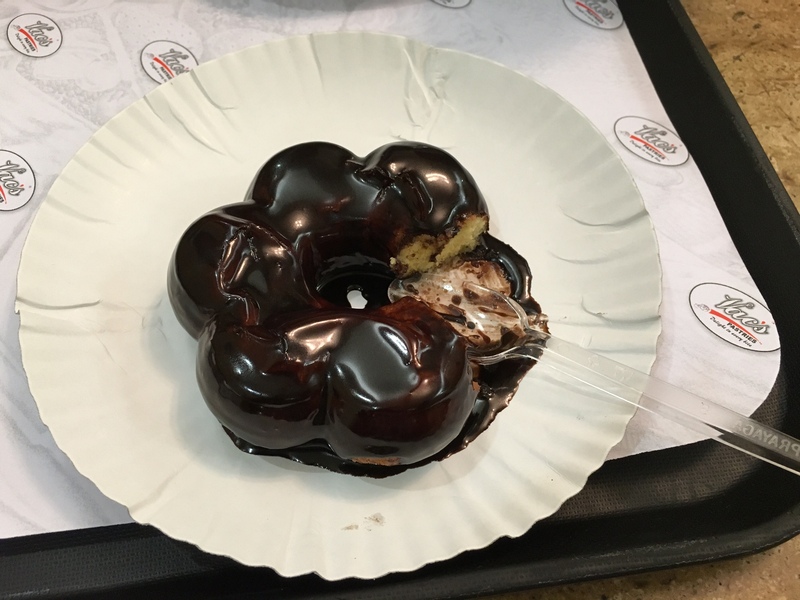 This ain’t best Doughnut I’ve had until now, but this is one of the best in Hyderabad City (India). Vac’s Pastries’ Doughnut is best in its texture, fluffiness and Chocolate syrup poured blending into the doughnut makes it moreish. A definite must try for those Doughnut lovers. 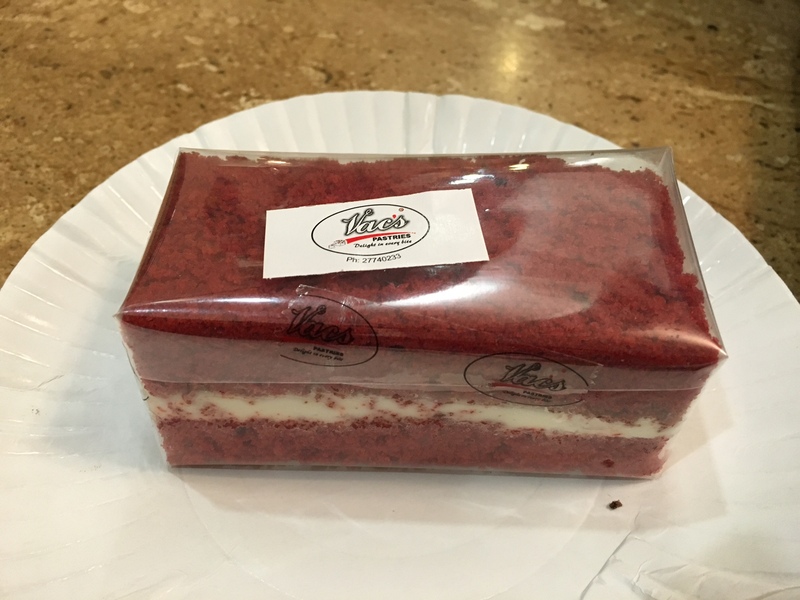 Adding to it, we have Red Velvet cake that has rich Milk-Bikis textured creamy layer poured in-between Velvet cake layers. It is unique in taste and offers a different experience. It’s got decent interiors and comfortable eat-in place, however it serves okay for that evening snacky times only – Spend 30-45 minutes maximum here. 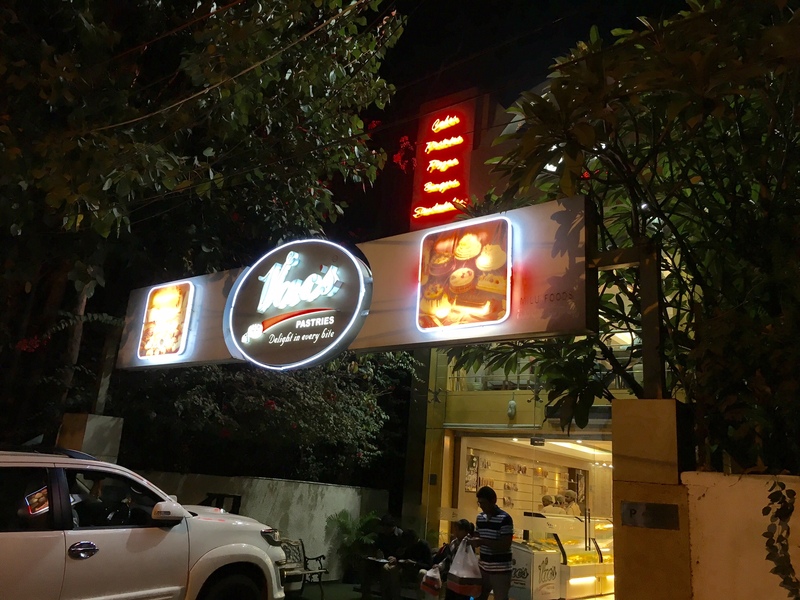 You can visit Vac’s @ Jubilee Hills Branch› 116/A, Road 10, Jubilee Hills, Hyderabad. Apart from desserts,they have super tasty sandwiches too…nice post!